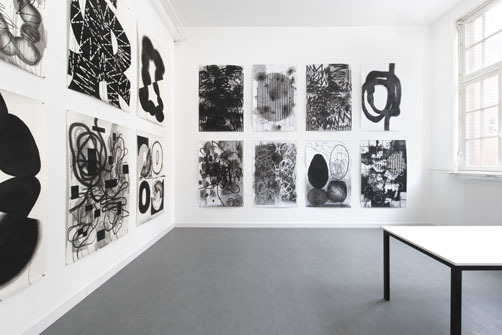 During this three-day exhibition Riette Wanders will present new works on paper at PS Project Space. You can visit the exhibition on Friday, Saturday and Sunday, the 11 -13 May. Riette Wanders' practice is a search for both elusive and contradictory imagery. Working mainly with charcoal on paper her drawings appear notational, full of automatic writing and dispersed mark making structured with raw, energetic yet delicate lines. Wanders' vocabulary is diverse and comprehensive. Black and white photographs, coincidental discoveries and especially music are sources relevant to Wanders' oeuvre. As she says herself : "I can easily translate sound into image and vice versa. The artwork that accompanies the music I listen to has been just as influential to me as museum visits". 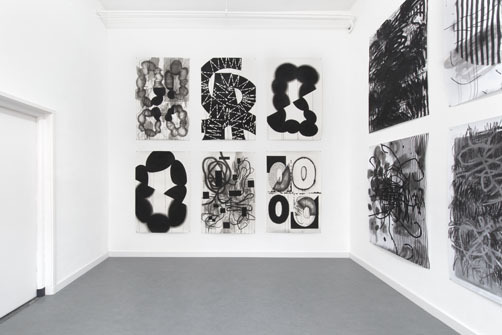 As her pictorial language has developed through recent years it has come to combine both expressive, organic and geometric elements, dept and flatness, repetition, grid and chaos, layering and erasing. Through her work Wanders visualizes and connects these apparently contradictory elements within a finished work, focusing always on essential elements such as form, line and surface. Characteristic of Wanders' working process is that each new work is a direct response to previous works that have come before. It is an adventurous and unpredictable approach where one drawing leads to another. 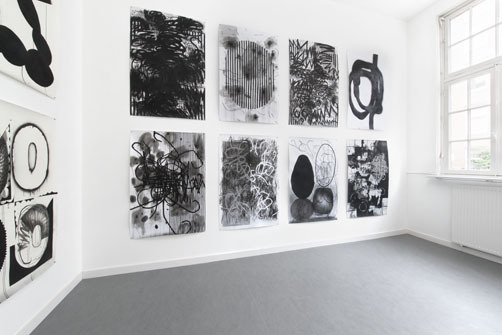 The works flow together to form an ongoing, organicly developing composition. Through this process Wanders is in constant state of research, using the medium of drawing as an independent and rich visual language. Within this context the individual images and the body of work as a whole becomes more eloquent. Riette Wanders is supported by the Mondriaan Fund.